Have you ever questioned God's goodness during tough seasons? It's easy to accept that God is loving when you receive a promotion and that he's merciful when someone forgives you. But, God's characteristics during troubling times can appear so abstract that applying his identity to our life circumstances can seem like a theological puzzle: we possess all the pieces but don't know how they fit together. How can God be good and my life remain troubled, uncertain, and instable? Let's face the truth. Logically knowing God's traits is not enough to change our perspectives. We need an overview that allows us to meditate on his traits and that suggests practical ways to apply his identity to our everyday lives. 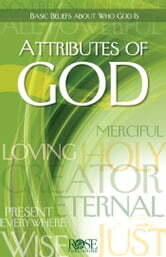 Rose Publishing's Attributes of God, a full color, 14-page pamphlet, explains 20 traits of God in an easy-to-reference chart. This easy–to–understand pamphlet explains each attribute, and provides probing questions and devotion–based activities to help you apply the insights to your personal walk. Experience the relief, joy, and hope that comes from deepening your understanding of God's identity with Rose publishing's Attributes of God. •Worship by deepening your understanding of God's praiseworthy attributes. •Life Perspective by enabling you to discover the hope that comes from realizing that his very nature meets your every need. 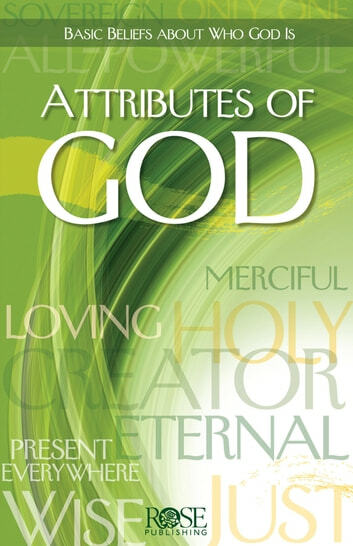 •Relationship with God by fostering a more intimate awareness of His traits. •Relationship with Others by revealing the traits you can develop as you seek after him, such as patience, faithfulness, and love. •Identity by revealing to you your worth, as you focus on the astounding attributes of the God who loves you. Where Have All the Spiritual Gifts Gone?